With expansive desert plains, the rugged Aussie Outback, seaside trails, towering mountain ranges and sprawling green open spaces, Australia is one of the finest places to crack out those hiking boots. Endless offerings for adventurers of all levels make it easy for just about anyone to discover the beauty of Australia on foot; here are the most epic hiking trails to tackle. Glowworm Tunnel is an old abandoned railway tunnel in Wollemi National Park. The name appropriately nods to the tunnel’s most curious inhabitants, glowworms (the larvae of the fungus gnat), which turn a spectacular blue colour in the dark. This distinct hue is as a result of a chemical reaction. 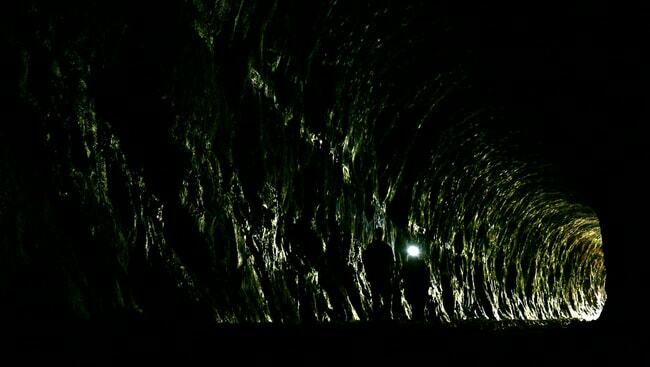 The 40 kilometre tunnel is pretty spooky, so remember a flashlight and some proper walking shoes. The Australian Walking Track Grading System rates this as an intensity 3 trail; it is a 2.9 kilometre return walk and takes nearly two hours to complete. Glowworm Tunnel. Old Coach Trail. Newnes Plateau. New South Wales. Australia. 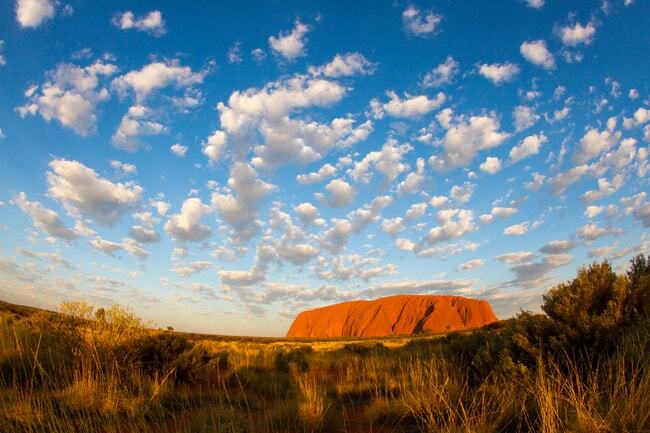 Capture the beauty of this stunning indigenous holy ground via the Uluru Base Walk. It is best to set out in the morning, avoiding the masses and the relentless desert sun. This is one of the finest walks that balances geological prowess with cultural significance. Uluru Base Walk is graded as an intensity 3 trail, spanning 10.6 kilometers with a duration of 3.5 hours (return). This four-day trek amongst coves, rivers, white sandy beaches and undisturbed wilderness is a sight for sore eyes. 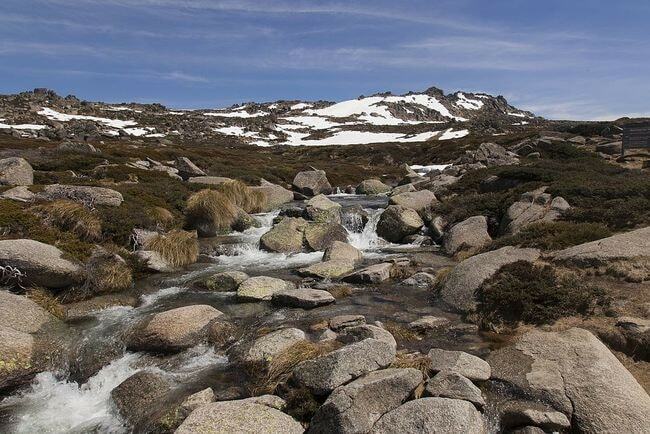 Located in Tasmania, this walk, which is set in Mount William National Park is a popular choice for multi-day trekkers looking for a more immersive experience in Australia’s natural realm. Led by well-versed wanderers, the trek includes beach camping and boutique lodgings on various nights in this National Park. Bay of Fires. Tasmania. Australia. 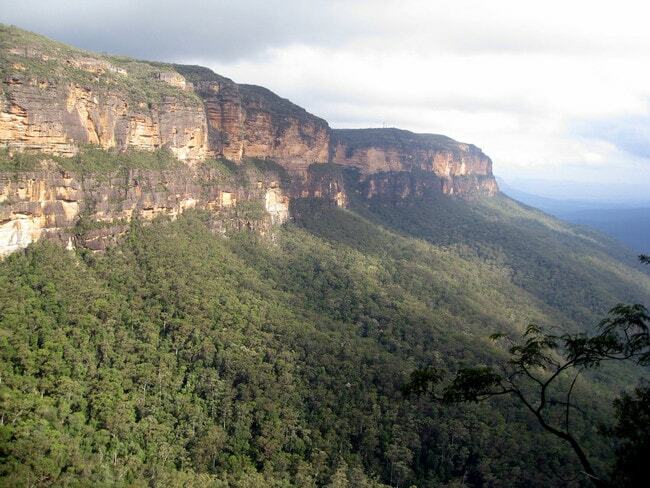 Set in the Blue Mountains National Park, the National Pass is a mighty, impressive trek for experienced adventurers. Expect epic vistas, challenging trails, wondrous waterfalls, rapid rivers, expansive panoramic shots over the treetops and, most notably, the famous Grand Stairway (quite literally a grand staircase that hugs a plunging cliff-face) definitely not for the faint-hearted. This is a grade 4 track (4.5km return), taking between 2.5-3.5 hours. 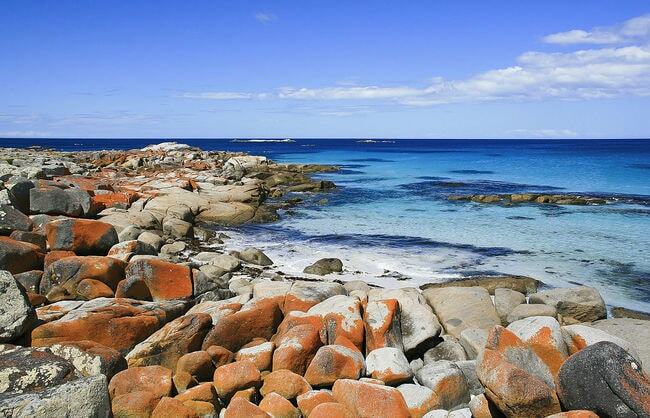 This challenging 1,200-kilometre trail covers Cape Jervis to Flinders Ranges. The full endeavour (taking 50 to 60 days) is certainly for seasoned hikers in search of a full-on Aussie hiking experience. En route, explore coastal areas and native bushlands, stunning rock formations and impressive flora as well as towns, vineyards, farms and forests. There are five different levels of intensity and distances depending on the path chosen, catering for people of different fitness levels. Beginning at Walhalla, Victoria snake your way along this 655 kilometre-long hiking trail all the way to Tharwa in the Australian Capital Territory, near Canberra. Winding through a series of National Parks, this trail can take up to eight weeks so only suitable for very seasoned explorers or those in guided groups. This is one of Australia’s most stunning trails, but, be wary. This is a fiercely challenging trek, so plan well and always err on the side of caution. Grade 4-5 track. Australian Alps Walking Track. Walhalla. Victoria. Australia. 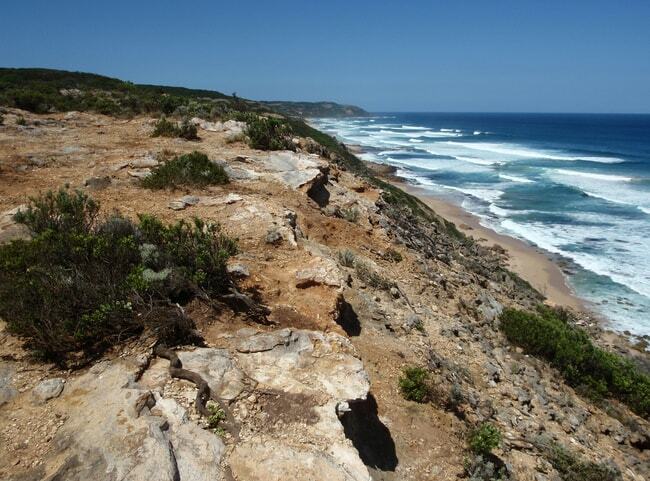 This walking trail is located along the world-famous Great Ocean Road. Spanning a number of cultural, natural and historical sights, this trail is the perfect way to elevate a trip along this iconic piece of roadway. The 104-kilometre walk includes encounters with the impressive Twelve Apostles rock formations and features many accommodation options and guided tours. Wanderers must book in advance with Parks Victoria to secure a sleeping spot along the trail. This is a grade 3 walk and takes eight to 10 days. Great Ocean Walk. Victoria. Australia. This six-day guided tour is for those in need of a touch of pampering as they pound the footpath. 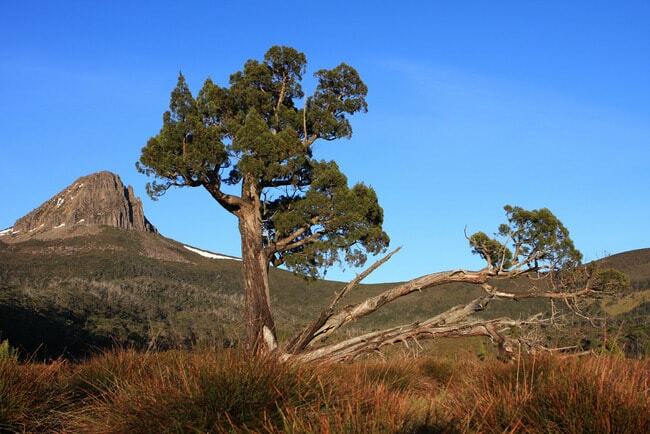 This luxury trek is located in Tasmania’s World Heritage-listed Cradle Mountain. By day, explore the stunning wilderness effortlessly with the ease of only one light backpack (they do all the heavy lifting for you) and by night rest and refresh with a hot shower, delve into a gourmet grub and sleep in a comfortable bed. Not everyone’s idea of a trip into the wilderness but heaven for some.